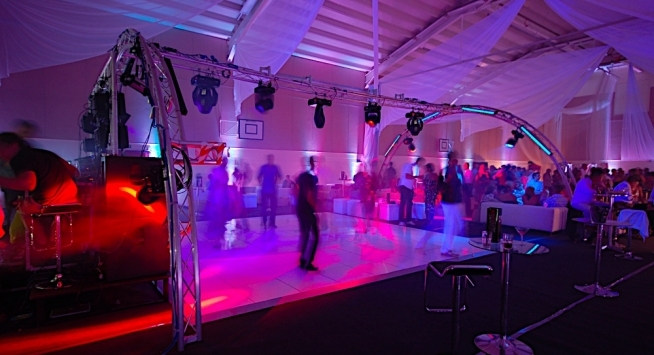 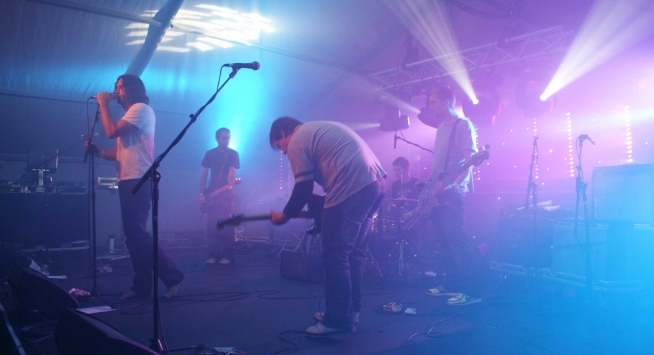 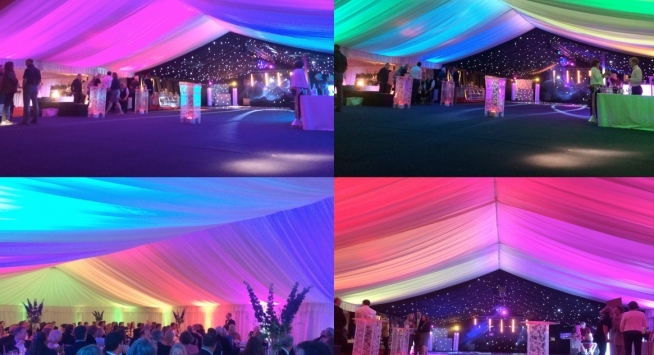 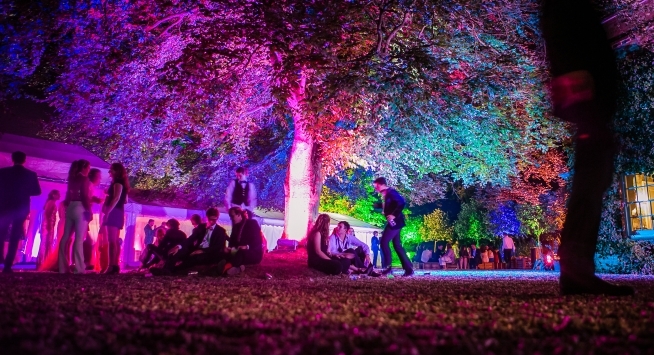 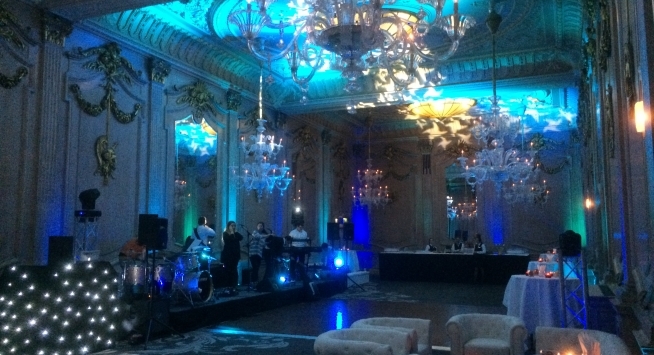 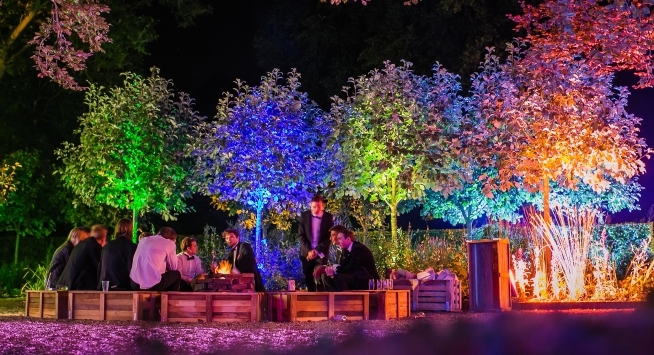 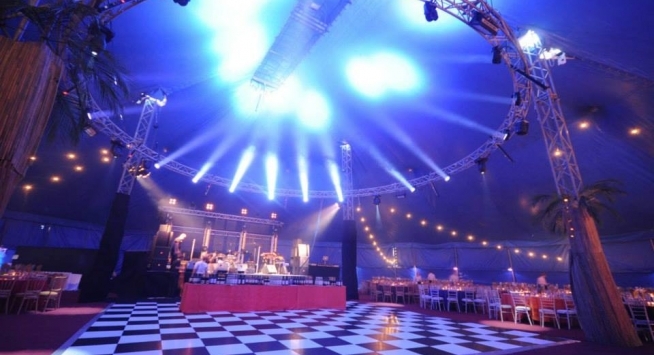 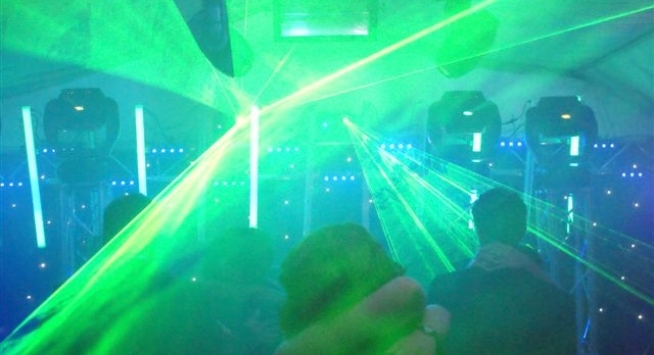 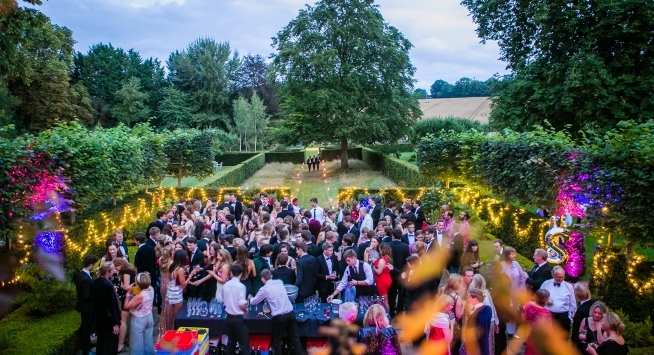 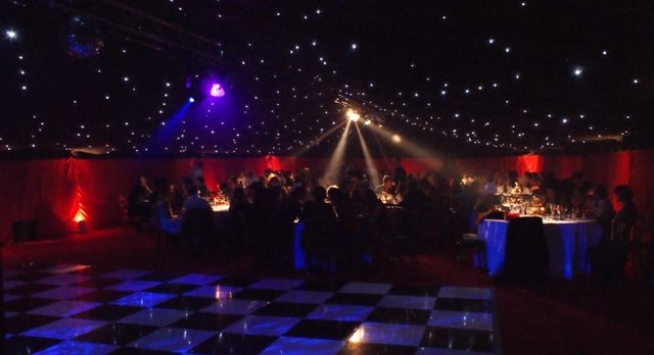 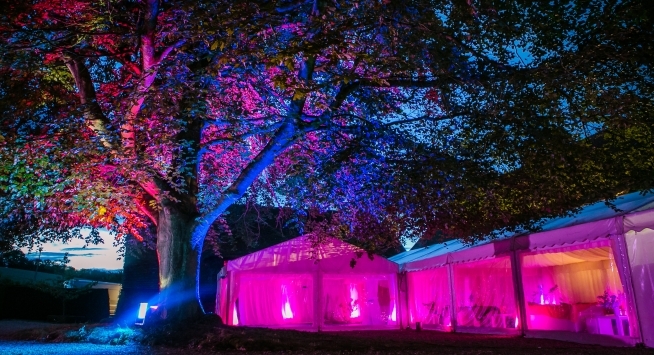 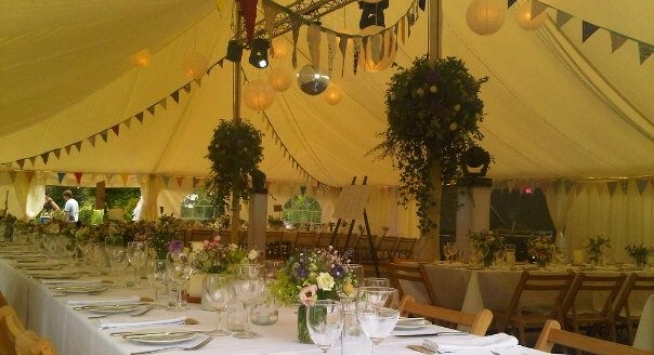 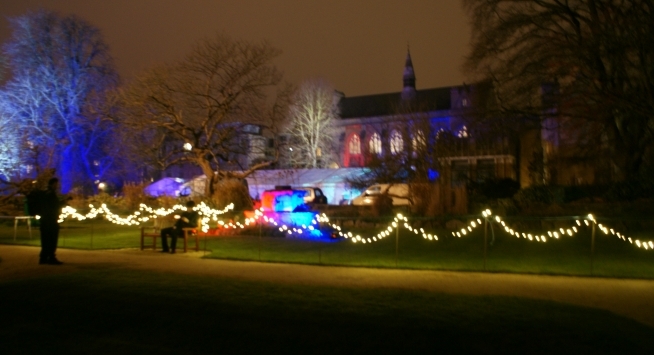 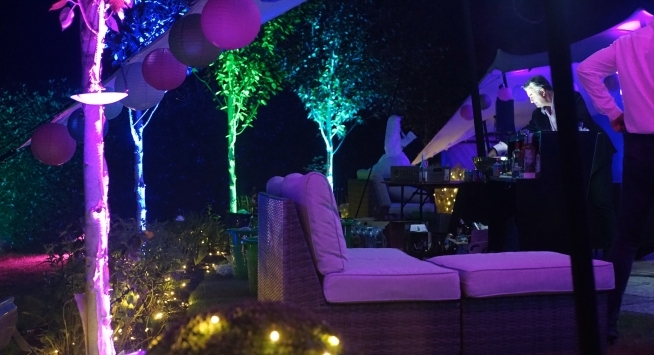 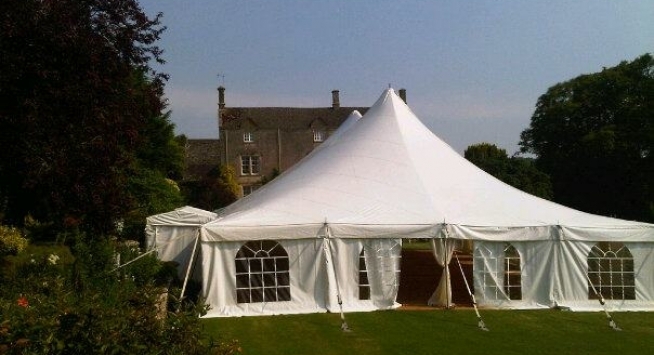 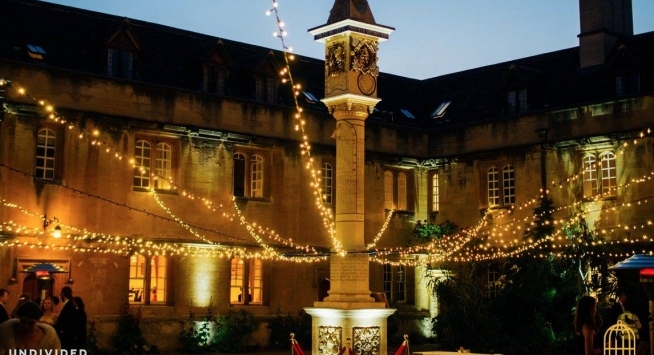 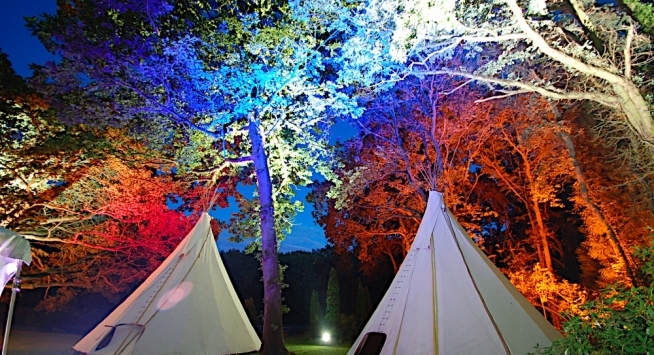 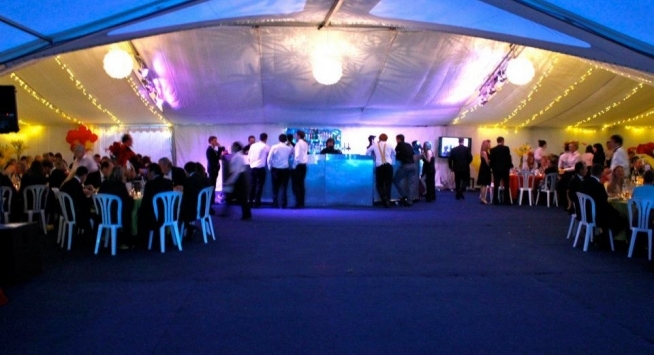 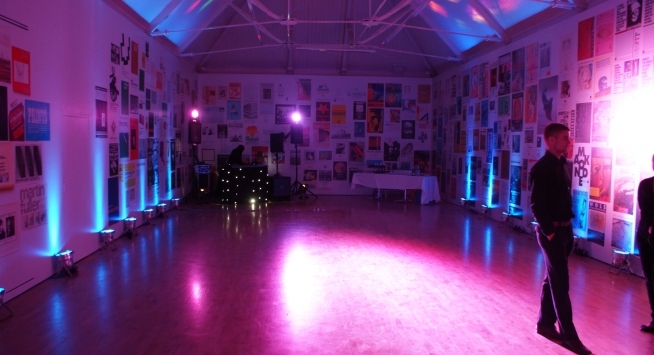 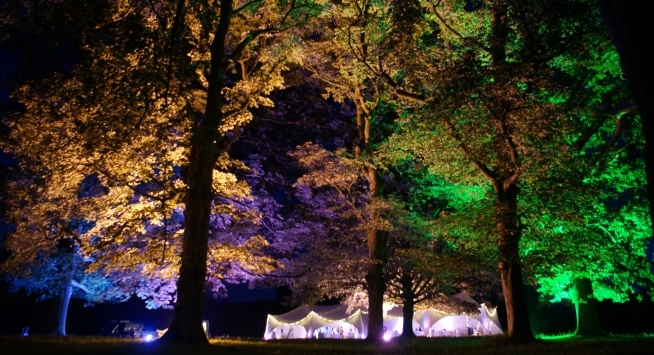 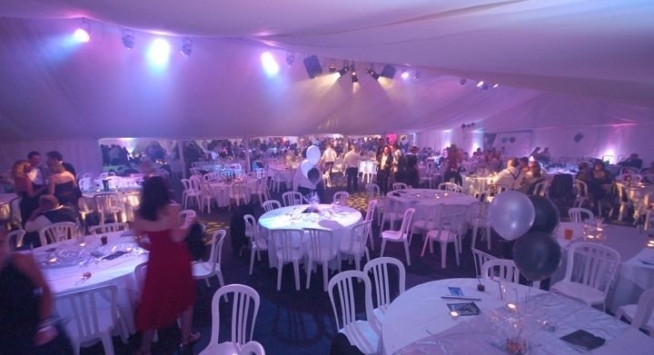 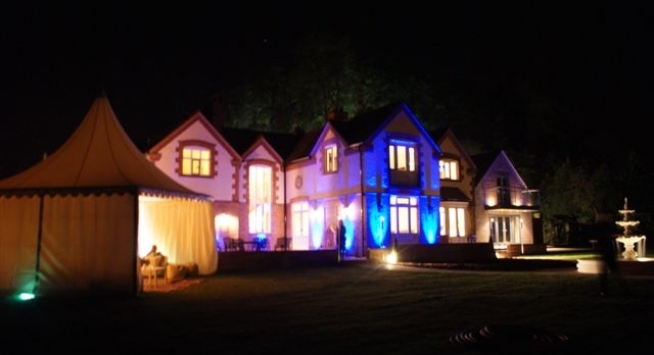 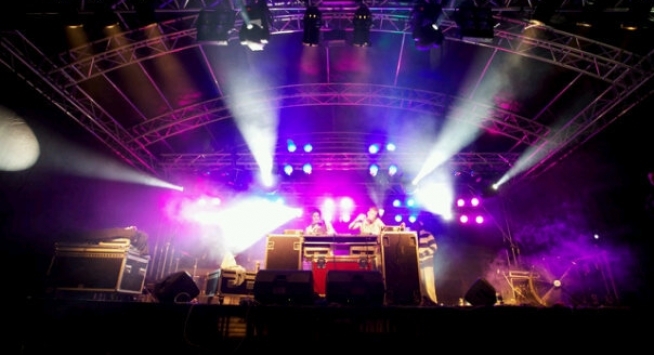 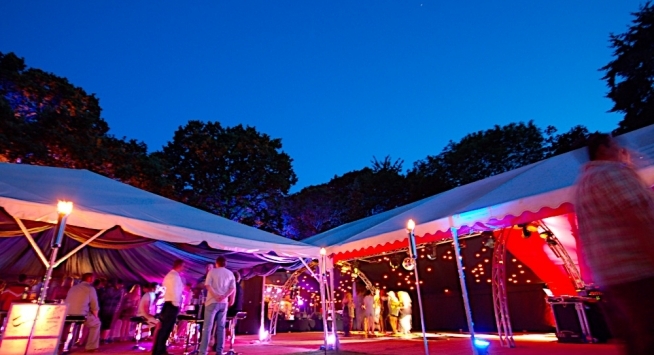 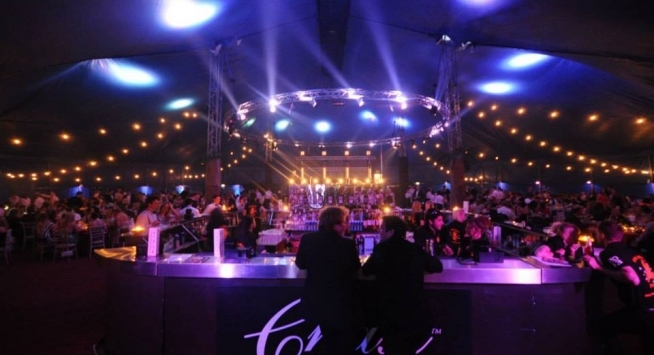 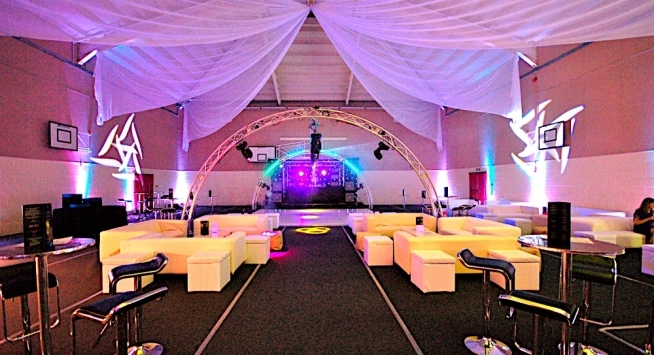 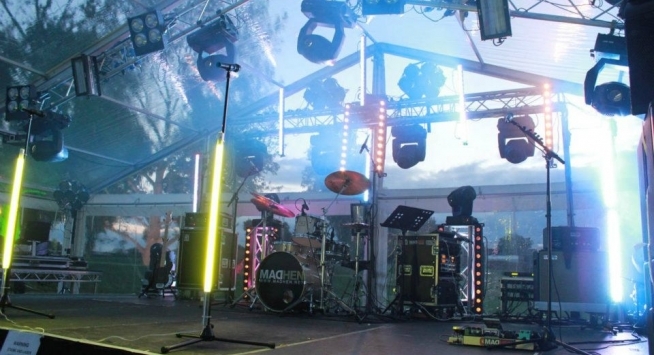 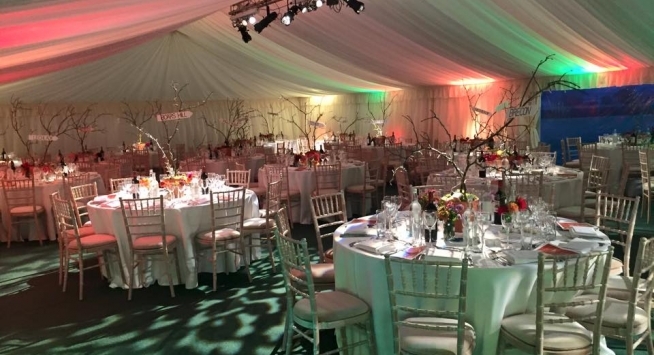 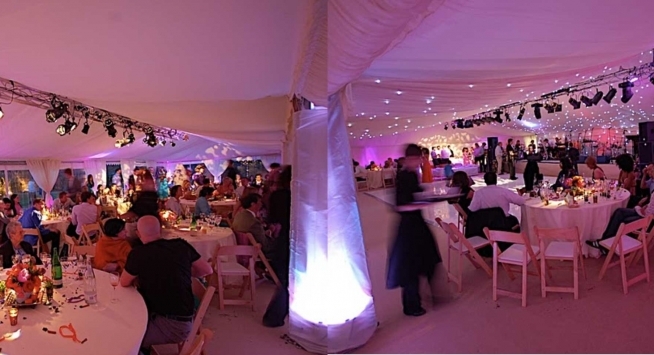 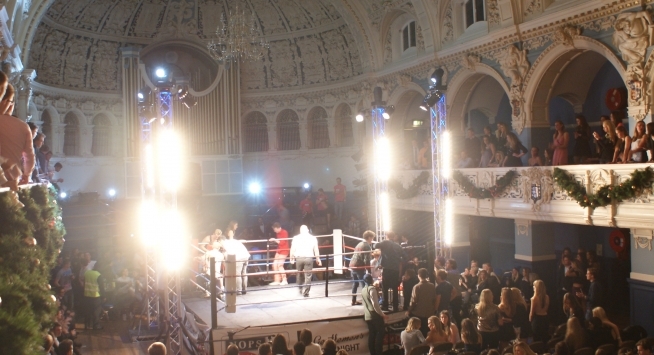 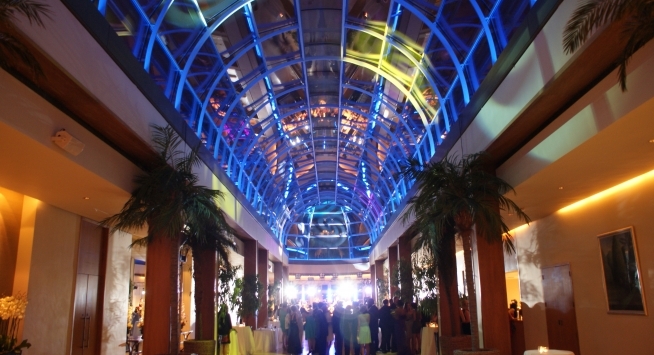 RJCC Events design and supply indoor and outdoor lighting for all types of events and venues from weddings and parties to festivals, college balls, discos and DJs. 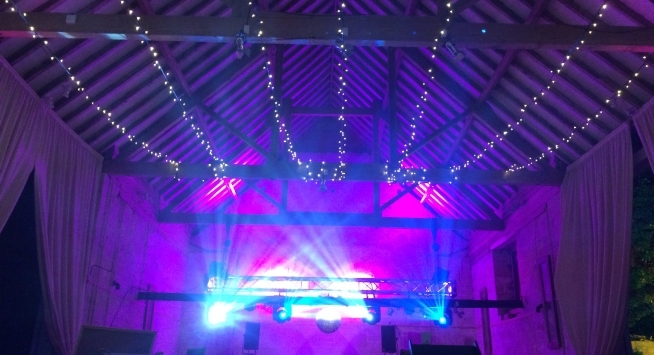 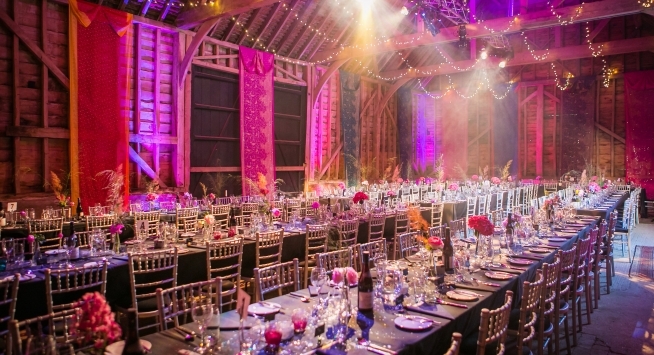 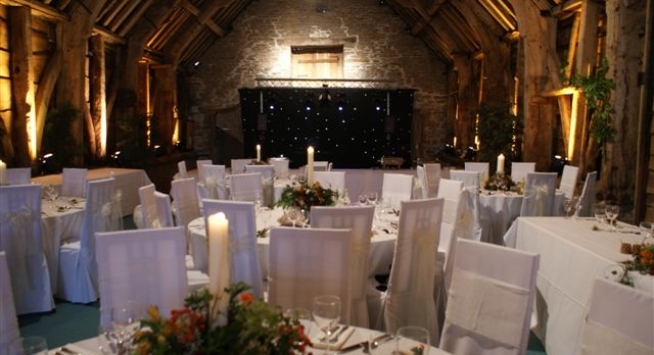 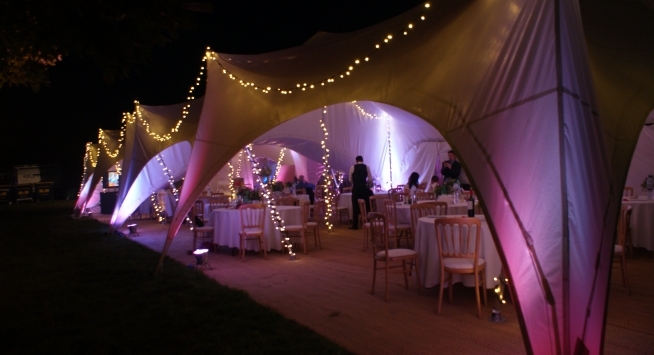 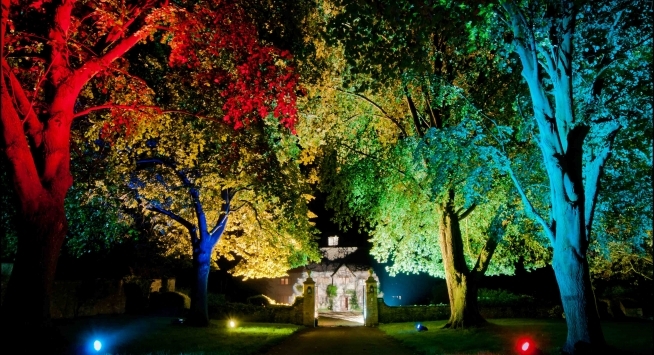 Fairy lighting is very popular for weddings and we can instal fairy lights in marquees and over beams in barns or hotels. 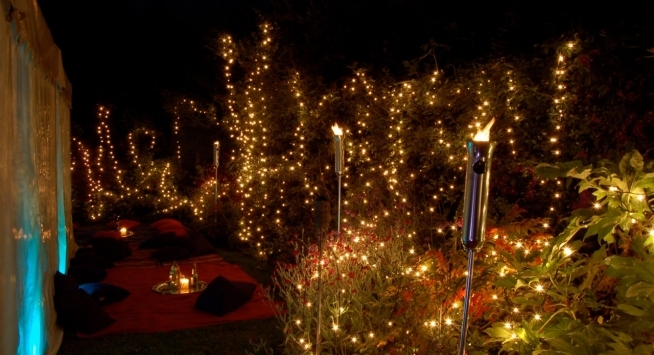 Wireless, battery operated uplights are great outdoors and indoors becasue uplighting is a great way to warm up a room. 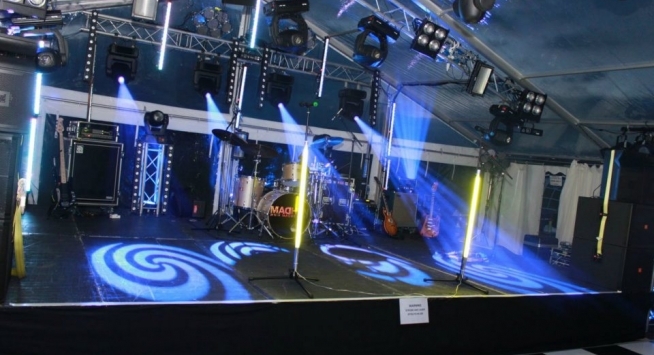 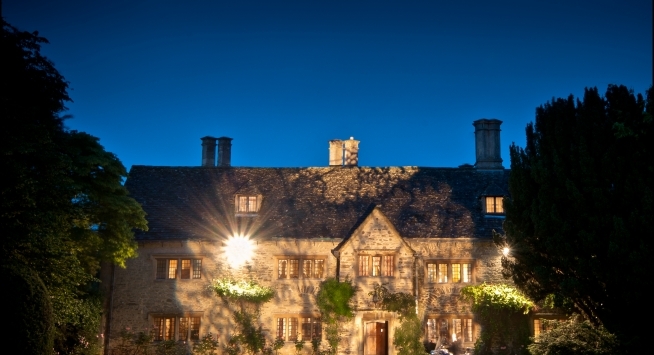 Our SmartBat uplights are IP rated so they can be used outside to light trees and walls and we also have high powered floodlights for driveways, car parking flood lights and outdoor marquee lighting.